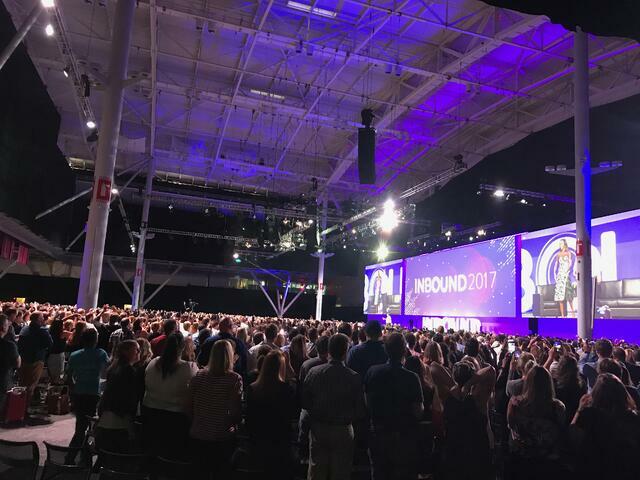 Having just returned from HubSpot's Annual #INBOUND2017 Conference, I'm left with some strong impressions. Each day was full of informative programming. 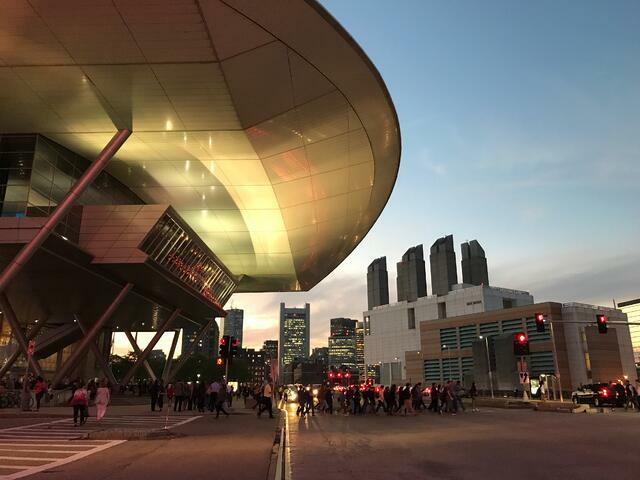 Most sessions took place at the Boston Convention and Exhibition Centre, a gargantuan facility with seemingly every amenity that could handle the 20,000+ attendees without issue. Sessions abounded in smaller rooms throughout the facility, covering all kinds of topics around the latest and most effective techniques in B2B and B2C campaigns. I accidentally found myself in one session that covered the world of exporting and ended up hearing some fascinating stories of businesses that were able to jumpstart growth by offering services to new markets globally. One of these stories involved a woman who was about to lose her home at 60 years old after the 2008 crash. Her children helped her start a small business - Missouri Quilt Co. - selling quilt supplies. After the first year, sales were flat. She started creating videos on Youtube that gradually grew a large cult following, and they embraced inbound marketing techniques. Today, the company sells globally and has 160 full-time employees in the small town of Hamilton (population of 1500). An annual quilting event put on by Missouri Quilt Co. draws thousands of visitors from around the world – to such an extent that the company was required to build - and now owns and operates - a hotel. On the other end of the spectrum, we learned about enterprise-level businesses who were able to jumpstart growth by leveraging Inbound marketing techniques and are now generating more (and better) leads, increasing conversions and growing revenue. The halo effect they've generated has impacted brand – they have successfully shifted into being perceived as consistently relevant, helpful, and trustworthy. There were some great speakers at the event. It was nice to vary the pace from platform and industry-specific talks to human interest stories. Michelle Obama spoke candidly and in a very relatable way around what it was like to live through 8 years in the White House. Embracing change and taking the high road were key themes. She spoke about the importance of women in society standing up and advocating for an equal footing in a world too often driven by men. Judd Apatow was simply, hilarious. 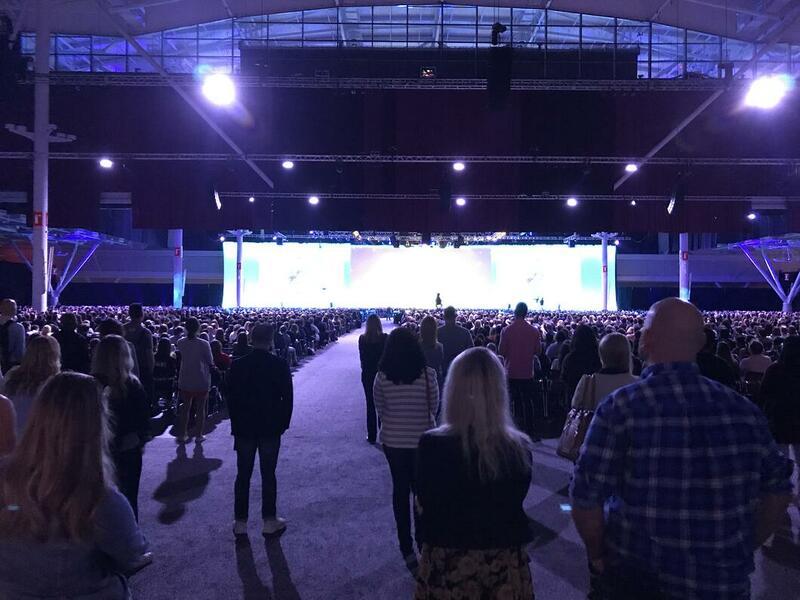 After walking out on stage in front of 20,000 people he asked whether he was at some sort of Scientology event and being indoctrinated into Sea Org. Lots of funny stories about family life. Billie Jean King spoke of lessons-learned in a world of male-dominated sport and boardrooms. She spoke about how in the corporate world (within which she has served on numerous Boards) women are often judged on performance, and men are often judged on potential. She echoed Obama in her call for women to advocate for themselves strongly in professional situations. A theme that unified all the speakers was an exploration of personal authenticity – finding your voice and being true to it, no matter what. In business, this can be challenging, but the message is that being fearlessly authentic will give you the courage to try new things. In the long run, this will be far more rewarding than playing it safe with the status quo. Give in to who you are, and leverage it to your advantage. Maintaining focus and pacing the brain. Obviously all the thinking and endless note-taking needed a counterbalance from time to time. There were giant tables with copious amounts of coffee refreshed on an ongoing basis. I quadrupled my regular caffeine intake for the week we were there. Food trucks outside offered all kinds of delicious fare of various types. I don't know if we were just starving from all the walking and thinking, but everything tasted amazing. 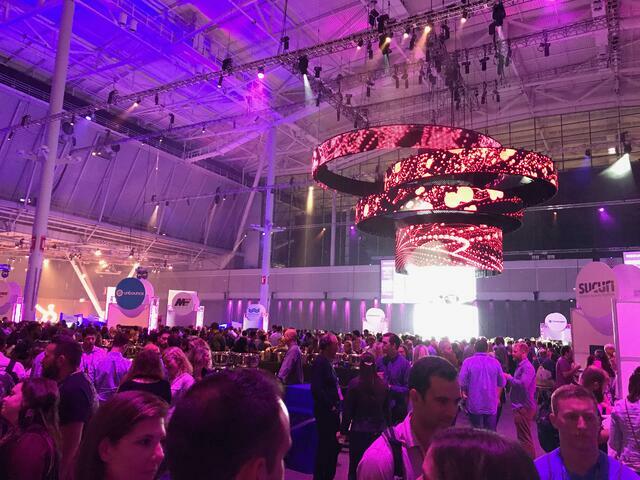 At 5:30 pm, 'Club Inbound' would open and huge tables, filled with unlimited wine and beer would open up. Some special events were held at nearby Boston bars and pubs. Although Inbound marketing as a methodology continues to drive proven results, evolution is constant and it's incumbant on marketers on both client and agency-side to keep an eye on where the train is headed. Inbound (actually, let's just call it good marketing) is really about speaking to the right prospects, the right way, at the right time. The technologies around this will change and preferred communication methods will evolve. For instance, data shows that the customer conversation is moving more and more towards chat and messaging. There are easy ways to leverage these capabilities now. With our clients, we use a platform called Drift that is easy to install and can give your customers new ways to connect with you. (We are currently exploring programmed conversation paths and artificial intelligence capabilities). Content is still king. Offering meaningful, useful content is still the best way to get in front of - and drive a response from - the right prospects. Producing copious amounts of generic keyword-laden content is less preferable to producing fewer, high-quality content pieces with the same keywords. You'll get better results if you do not cut corners with content. ROI. At the end of the day, companies should be asking what they are getting in return for all their spent marketing dollars. The old-world of amorphous brand awareness and high-cost print, TV or out-of-home no longer cuts it. And this is where inbound marketing shines, in both B2B and B2C. Fully tracked highly-targetted and well-integrated marketing campaigns that can be linked directly to growth and revenue performance. Alignment of sales and marketing. This is a big one. If sales and marketing are not well-aligned, the most qualified leads may go nowhere. The natural extension of the Inbound methodology is towards sales enablement. Fully integrated systems can empower sales to leverage all the data and intelligence of the buyer journey. These capabilities are not pie-in-the-sky, in a few years... they are here now. 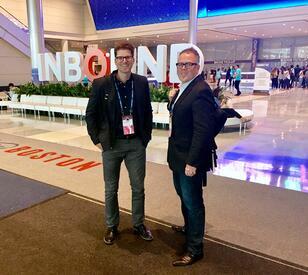 Hubspot has announced a prime-time fully-featured CRM and Professional Sales tool that takes marketing and sales integration to a new level. This is something we are excited about because we have seen first hand the disconnect between sales and marketing at large corporations. There is massive potential here to improve results and we are excited to offer these capabilties to our clients. All in all, it was a great event. 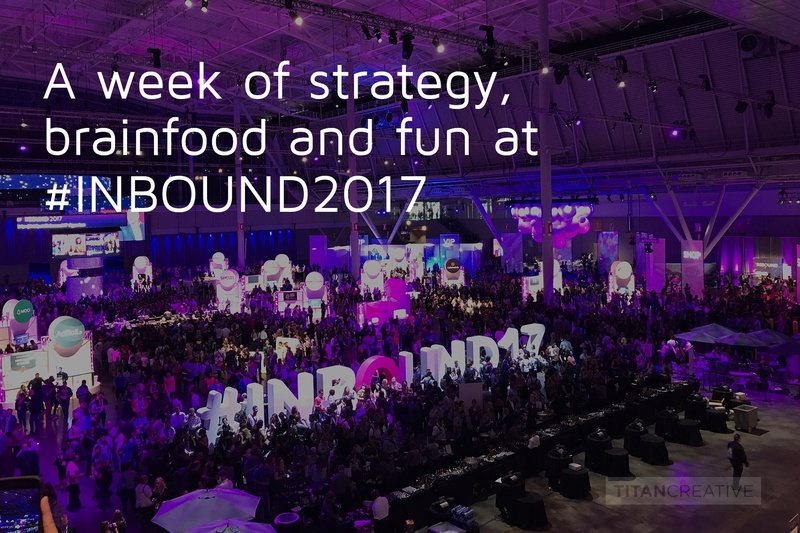 We'll be going back to #INBOUND.